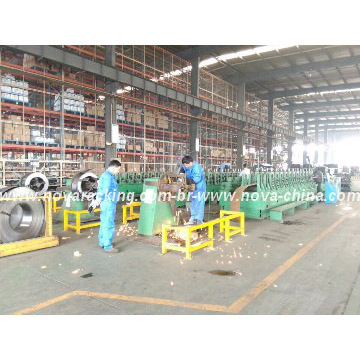 1.It is a combination of simple drive-in racking and shuttle cart( also named as pallet mole in some regions). 2.Incoming the storage system , pallets to be loaded by forklifts on the shuttle cart which is located at the front end of the drive-in system, then the shuttle cart carrying a pallet is sent to an appointed location by remote control . 3.For outgoing of pallet, the process is on the contrary. 1. 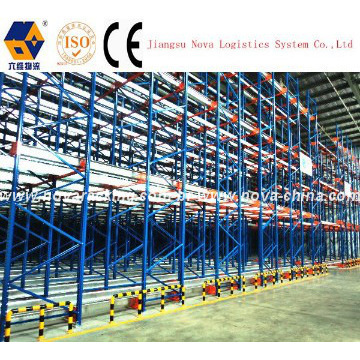 Light, middle, heavy kinds of adjustable composite storage racking. 2. 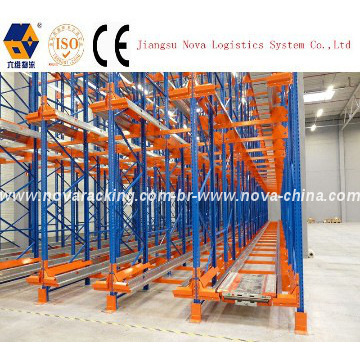 And all kinds of standard and non-standard storage racking. 3. Multi-tier racking and steel structure gallery. 4. To design and develop logistic system for every work of life. 5. Automatic Stereo Storage rack system and management controlling system. 6. Stacker Cranes, High-speed lifts, Tilt/Rotation Stage and conveyance system. We are professional manufacturer of all types of Racking system since 1997, supply you with quality products at competitive prices. 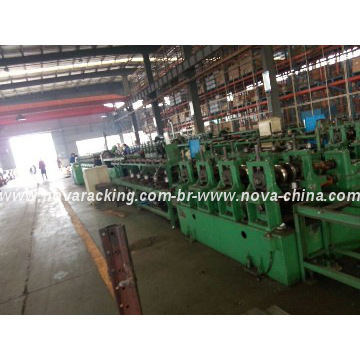 We would like to be your reliable supplier and trusted friends. Thank you for your attention! If you have any concern or questions, kindly contact us at below Chat Window or add my Skype: Mia Shen (Nova) we all help you out at the earliest.